Amp it baby and party like a rock star! RR16UAD24W is built for the long haul. 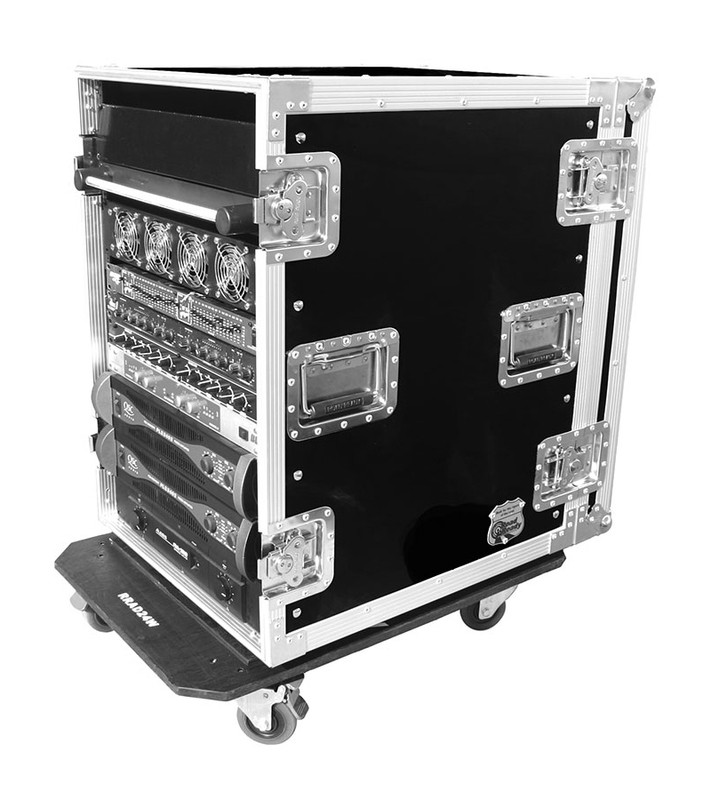 Crafted from raw edged materials to accommodate pro amps up to 16U, the RR16UAD24W is built smart with dual rack rails (mounted front and back at an 22 5/8"rack depth) and 1/2" plywood construction for extra strength. 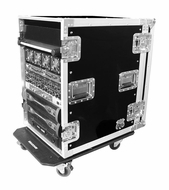 It features 2 removable heavy duty covers for easy access to your gear, and because we know that lugging around your gear can be a drag, we threw in a rugged Caster Board for easy mobility.